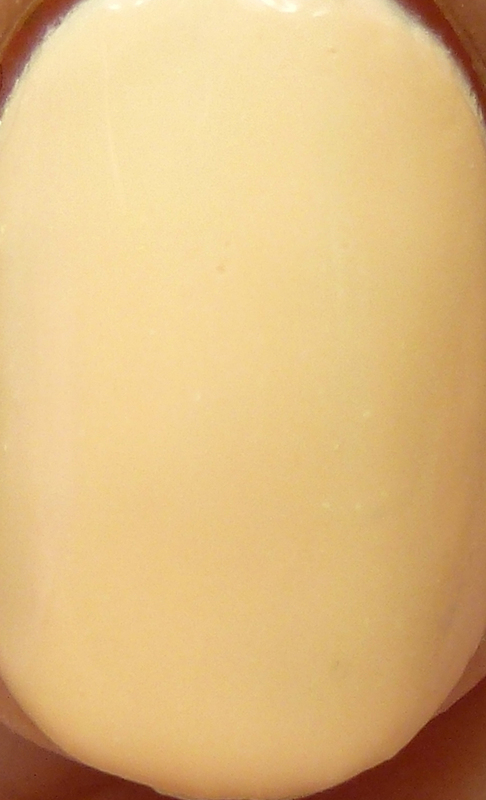 Orange Creamsicle is a deep champagne cream, shown here in three thin coats. This was nicely opaque. As I mentioned in my previous review, my bottles had a few white pigment specks you might see in the pictures since they were from a sample batch, but Shannon let me know that the issue is resolved in the shipped polishes. 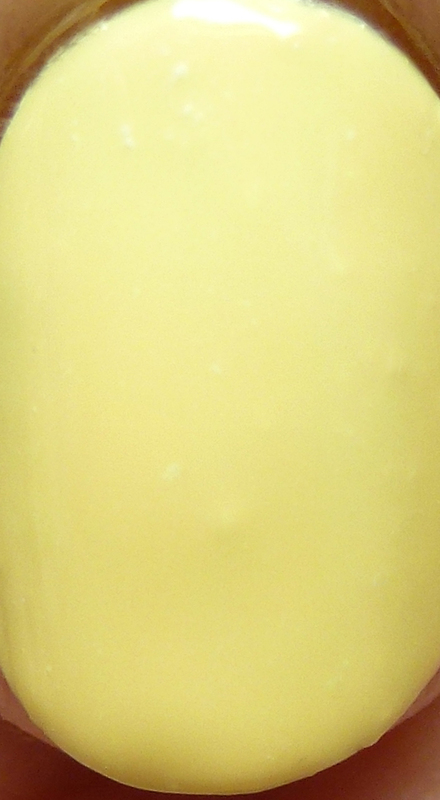 Pineapple Cheesecake is a very pale yellow creme. I wore it in four thin coats but it would be fine for most people in two to three. It was amazingly easy for a pastel yellow and you can see it is completely opaque. 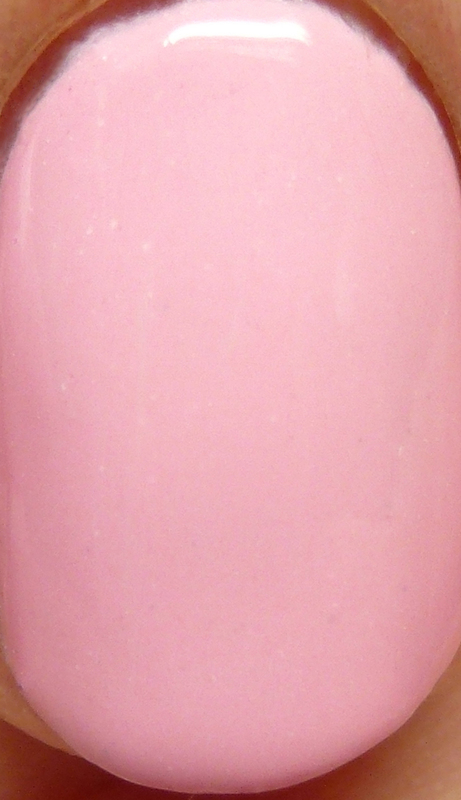 Strawberry Parfait is a piggy pink, worn here in three thin coats. Very easy formula. 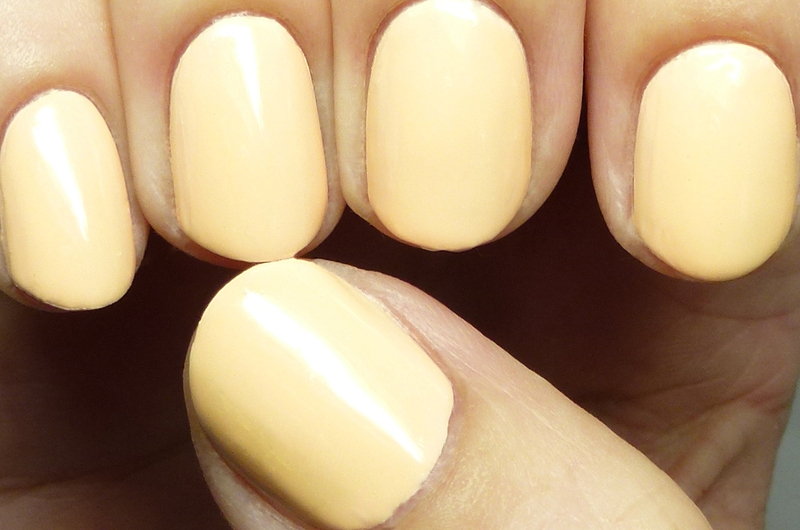 It was nice to wear some refreshing cremes last week and it got me out of my usual vampy holos. Now if I didn't go to the candy jar so much when I thought of these, lol! You can check out my first post with three other polishes in the collection here. These are priced at $9 each for a full sized bottle.